Turner and the Sea. 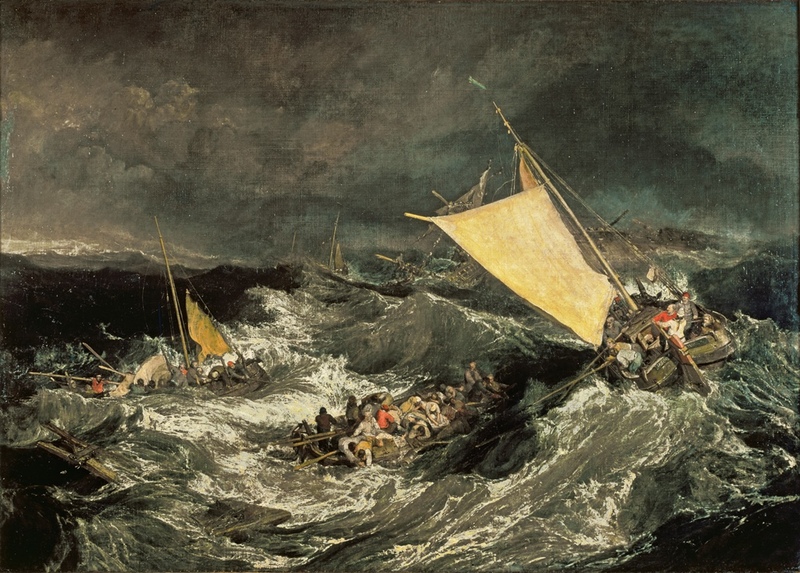 The two go together so well, it is almost impossible to imagine that this collection of magnificent works at the Greenwich National Maritime Museum (until 21 April) is the first time there has been a survey of the subject. 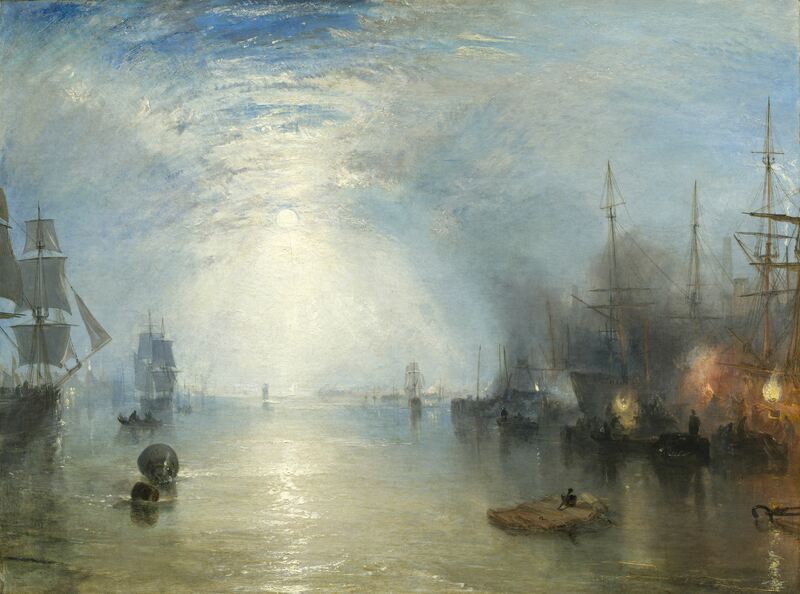 In fact, somewhere between half and two thirds of Turner’s enormous output featured the sea as its subject. Expertly curated by Christine Riding, the exhibition has such extensive British and international loans it makes one wonder whether there can be anything left on display elsewhere. As such, it offers a comprehensive view of this grand old English master. The show opens with three huge oils, each depicting storms of such force it’s enough to make you queasy. 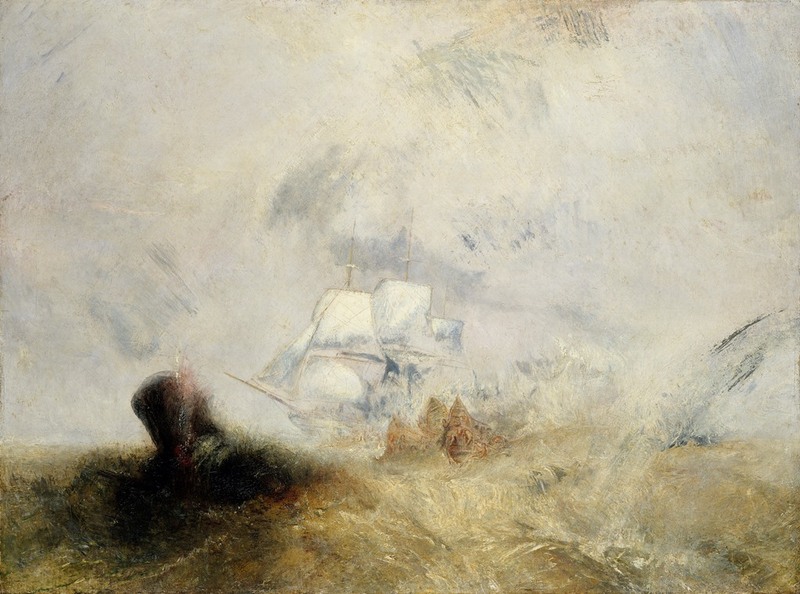 Turner had an ability to paint the sea in all its moods: storm and turbulence, calm and placid. His works all reflect the elemental power that fascinated this artist throughout his life. They are also often an analogy to the state of the nation. The story of him being tied to a mast to better experience a storm at sea may be apocryphal, but it is quite believable. The drama of these huge swells and stinging spray is palpable here, and the people clinging to the flotsam are utterly insignificant against the fury of the sea. It was the raw authenticity of his storms that he maintained throughout his life. One wouldn’t think anything could top that opening impact, but this enormous show produces one great work after another. 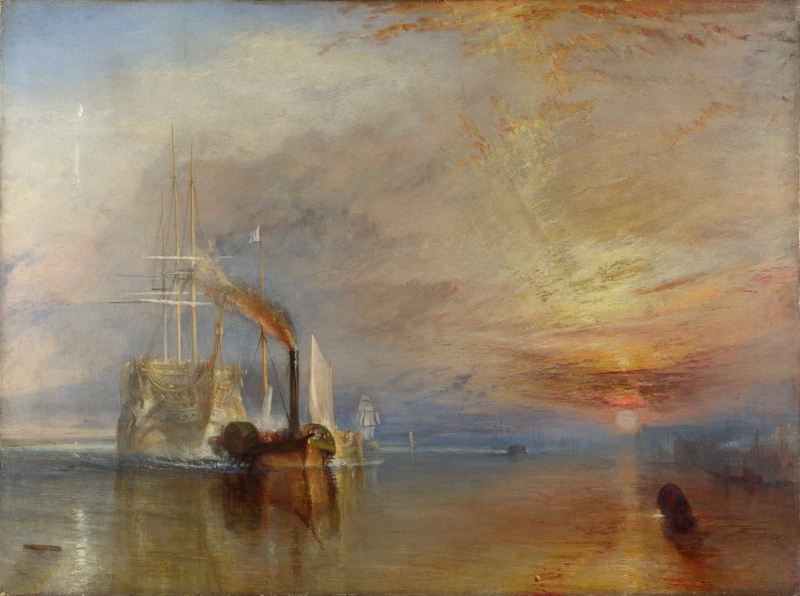 Turner was an artist who constantly assessed himself against his competitors, and time and again, as they copied him, he would turn to something new. Riding shows key work that informed Turner’s painting at the start of his career, many of them Dutch sea painters. His earliest sea painting, a simple view of a boat at sea, has all the colour and play of light that would hallmark his career. There are Turners where one can see the tactician determined to ensure his work takes its place in history, sizing himself up against Claude of Lorraine, newcomers on the art scene such as Richard Bonnington or even his own previous commercial successes. The NMM’s prized The Battle of Trafalgar (1824) is exactly the grand historical tour de force that leaves me cold. I far prefer the pared down later work which seems so atmospheric and modern in its approach, but of course, the sea lends itself to abstraction. Perhaps because of his passionate engagement with the sea throughout his life, this collection of works reflects a Turner one cannot but admire as a truly great artist, who not only responded to the past but cast a long shadow over generations of future artists.